Members looking to gain FORS Approval of their in-house course(s) to meet specific mandatory training requirements can check the ‘Guidance for training providers and FORS operators’ document which details the process for application. Annexes 1 and 2 of the FORS Standard version 5 indicate the mandatory training requirements that must be met by drivers and managers respectively. Training is either indicated as a specific FORS Professional training course or a FORS Approved alternative to meet the specific training topic. This guide provides information on how to submit an application to gain FORS Approval of your training, as well as key information such as the training objectives and learning outcomes that must be met in order for your course(s) to be assessed and approved. For more information and to access the guidance document, click here. 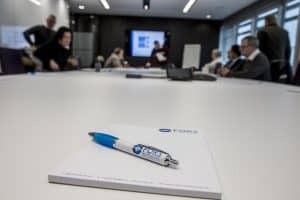 The document is also aimed at training providers who would like to apply to deliver FORS Professional training under licence or who would like their own industry courses approved by FORS.